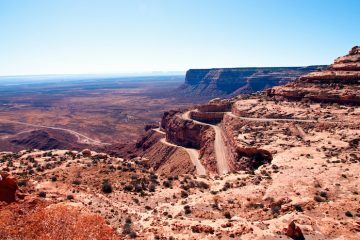 The truth of the matter is that it was the first major highway across America, running approximately 2,500 miles from Chicago to Santa Monica, crossing eight states and three time zones. Its first incarnation was completed in 1927, since then there have been many revisions to the route. Each revision giving rise to a change in a part of the route, often where a town was bypassed. These route variations are called ‘alignments’. 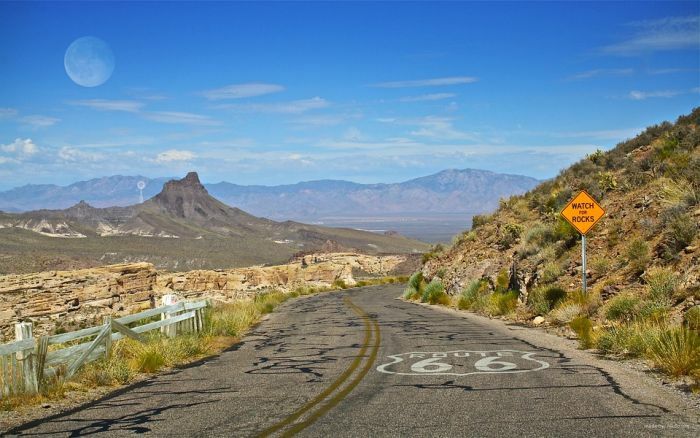 Route 66 was officially decommissioned in 1985 so no longer officially exists. Some parts of the old pavement have been ripped up or covered over by interstate; couple that with the many alignments that exist in some sections of the route and it becomes a challenge to follow! It is worth persevering and following this old route though. 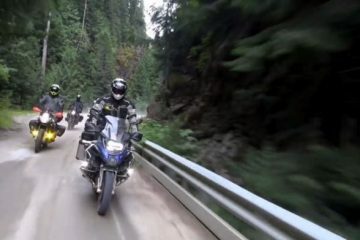 No matter what your interests are you’ll find many things to enjoy along the ‘mother road’. Most Route 66 enthusiasts seem to focus on kitsch ‘attractions’ such as the ‘Blue Whale’, a giant concrete whale built on the side of a lake in Catoosa Oklahoma, or the forty-two foot high ‘Worlds Largest Rocking Chair’ in Fanning Missouri. Whilst I did stop and look at these ‘attractions’ they don’t really excite me. I’m much more into countryside, natural scenery and the people. I was delighted by the scope and variety of the countryside along the way. Illinois and Missouri are quite green and pleasant in an English sort of way. Texas is flat cattle rearing country with big skies. The scenery becomes much more desert like in New Mexico and Arizona before crossing a ‘real’ desert, the Mojave desert in California. Finally there’s the Pacific Ocean waiting at the end of the road. 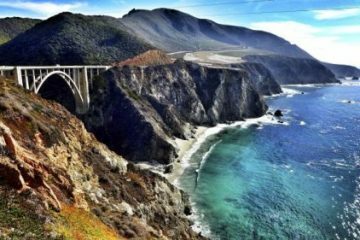 Once I’d completed Route 66 I headed north on Highway 1, the Pacific Coast Highway (PCH), to San Francisco and saw the stunning coastline and sea views of Big Sur before entering the city of San Francisco. If the natural scenery was great, the people I met were even better. An English accent in America is an open invitation for the locals to strike up a conversation and every time I stopped someone would come up and chat. 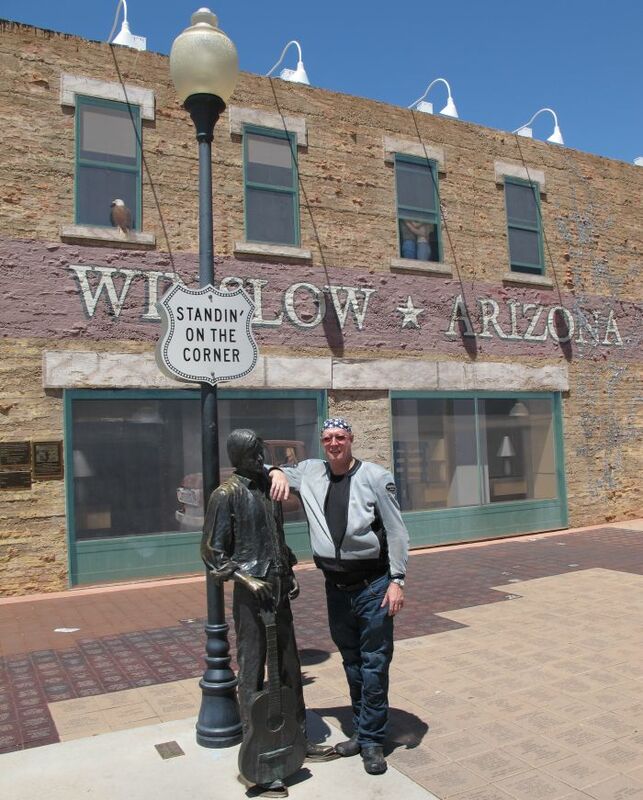 The enthusiasm that many of the local people have for Route 66 is unbounded and infectious. Just outside Miami in Oklahoma I was taking pictures of some of the original single track concrete road and Charlie stopped for a chat. He lived just up the road on Route 66 and was on his way to work. We talked about the history of the road and the people who now ran businesses along the road. He was just so keen to share his enthusiasm. Gary at the ‘Gay Parita’ restored Sinclair Gas (petrol) Station just outside Springfield Illinois drew me a map on a bit of paper to help me round some road works. The guy at the Afton Station gave me a free drink, as did a guy in a pick-up truck at a petrol station in California, just because he thought I looked thirsty. 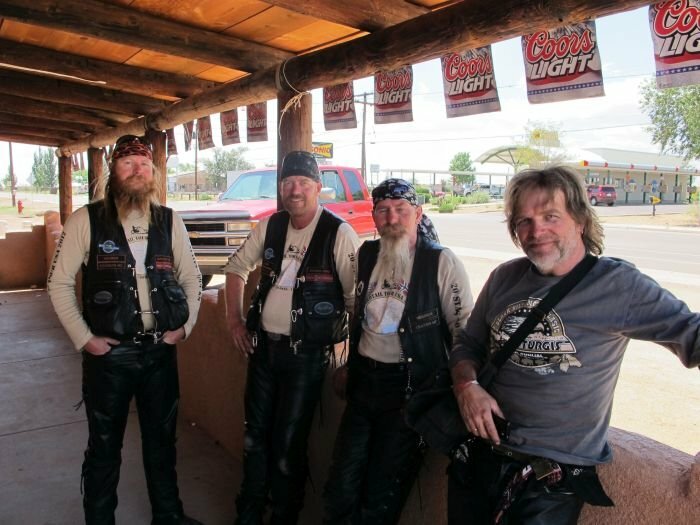 Then there were the four Norwegian rock stars I met at a bar just outside Winslow Arizona (remember the line from the Eagles song ‘Take it Easy’: “Standing on the corner in Winslow Arizona”?) who had shipped their choppers from Norway and were on a trip around America. Matt and Mark, two American bikers riding up the PCH to avoid the heat further inland told me about the Elephant Seals on Piedras Blancas beach. I can’t not mention Angel Delgadillo, a barber from Seligman in Arizona, founder of the Historic Route 66 Association of Arizona, and largely responsible for the Route 66 revival. He is just so enthusiastic, friendly and approachable. Lastly I should mention Jules from Flagstaff Arizona and Christie from Half Moon Bay in California and thank them for their wonderful company. These are just some of the people that made my trip so rewarding. My typical day started early, normally around 7am for breakfast, either a continental breakfast in the hotel or a more substantial breakfast in a nearby café. In New Mexico I developed a liking for breakfast burritos; these are burritos containing bacon, sausage, scrambled egg, hash browns and chilli sauce. A perfect way to start the day in my opinion! After breakfast I’d hit the road, stopping frequently to take pictures and visit roadside attractions. Petrol stops offered the opportunity for a quick snack and drink. As it was so hot I was freezing bottles of water overnight so I had cold water throughout the day as the bottle contents slowly melted. Petrol prices varied by state and how remote the station was. It was always much cheaper than in the UK though. You have to pre-pay and they’ll refund what doesn’t go in your tank. 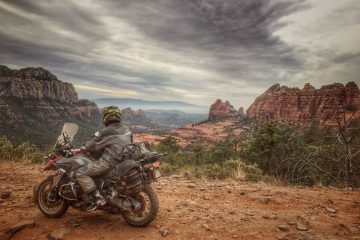 I generally stopped for lunch around 12.30 – 1.00 pm at a roadside café, of which there are plenty, many of which have become Route 66 attractions. 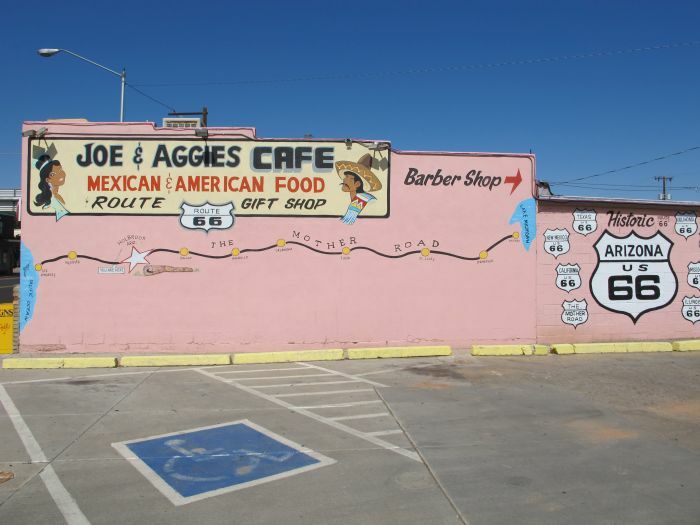 Cafés such as Joe and Aggies, Lucilles, Bagdad Café, Ariston Café, Midpoint Café and Roy’s Diner have become Route 66 ‘institutions’. The food on offer is typical American fare; burgers, tacos, steaks etc. All good value when compared to UK prices. After lunch it was back on the road until I started to look for a bed for the night around 4pm-5pm. Once settled into the hotel I’d find a local restaurant for dinner and then maybe explore the local area or have a drink in a bar before bedding down for the night. Because of the length of the road, and the changes in elevation it’s wise to think about what time of year to make the trip. Too early or late and Chicago will be snow bound. 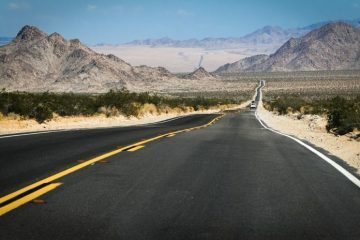 In the height of summer the Mojave desert will be far too hot for comfort. Therefore the best times are likely to be around April / May or September/October. I made my trip in August and was too hot all of the time (50C at the hottest!). So much so that in Missouri I stopped and bought a mesh jacket and posted my ventilated leather jacket back home. Apart from that I wore boots and kevlar reinforced jeans. I always rode with summer gloves but gave up wearing my full face helmet in states where I didn’t need to after I got so hot wearing it I started to feel faint and dizzy. I didn’t really experience any rain but it can, and does, rain there, so take waterproofs! My approach to trips is to research my destination so I know what to look out for when I’m there, but not to ‘over plan’ the trip. I calculate the duration by estimating how many miles I can cover in a day divided into the expected total distance. I don’t make firm plans about where to stop and, with a few exceptions, don’t book accommodation in advance. Accommodation in America is abundant and relatively cheap, and this holds true for the Mother Road. I stayed in motels with a few hotels thrown in where necessary. When I’d had enough of riding for the day I just kept my eyes open for a likely looking resting place and, if the price was right, checked in. I only had problems finding a room in one place: Pismo Beach California, and that was because the town was hosting its annual festival. I soon found a room at Avila Beach ten miles up the road though. I did book hotels for the first couple of nights in Chicago, the last couple of nights in San Francisco and for the night I spent in the Wigwam Motel in Holbrook, which is one of the Route’s iconic motels. 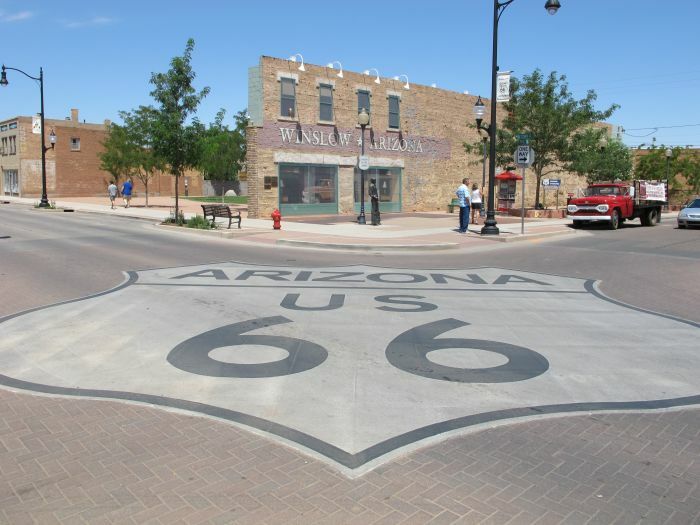 If you want to stay in any of the famous Route 66 motels, such as the Wigwam, Blue Swallow, Wagon Wheel, or Munger Moss it’s worth booking a day or so in advance. Rates vary and I paid between $30 (£18) per night to $200 (£125) per night, but they average out at around $60 (£36) per night. It’s worth remembering that most American motels and hotels don’t have restaurants, so you’ll need to find a restaurant for your evening meal. Bear this in mind when choosing your motel or hotel. I made my 3,362 mile trip in eighteen days. I rode every day apart from one day’s rest at Avila Beach on the PCH. This gave me an average daily mileage of 188 miles for the seventeen days I was riding. 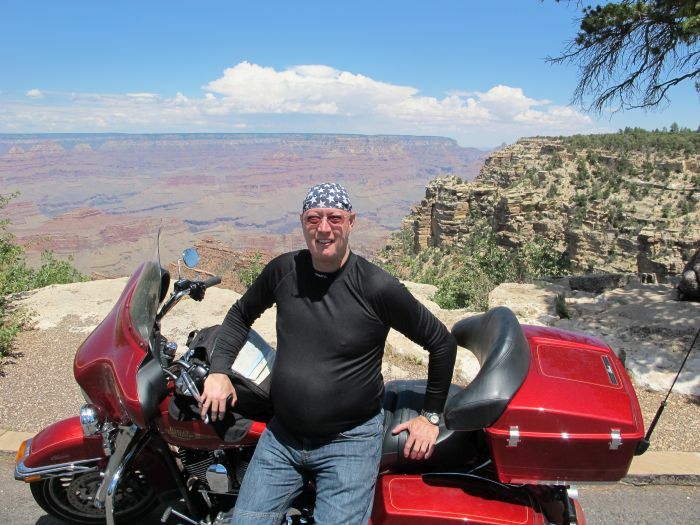 The 2,451 miles of Route 66 took me fourteen days riding every day, though I actually covered a few more miles (2,880) as I made a side trip to the Grand Canyon and multiple navigational errors! Given the choice I’d have taken longer and ridden fewer miles each day to allow more time for stops and sightseeing. A month would be ideal for this trip, but there’s enough to see and do to fill an even longer trip if you have the time. If I repeated the trip I’d take more time in Illinois and Missouri. These are the first states that the Route passes through and towns and ‘attractions’ are far closer together and more frequent than further west in Arizona and California so more stopping time is needed in these early states. 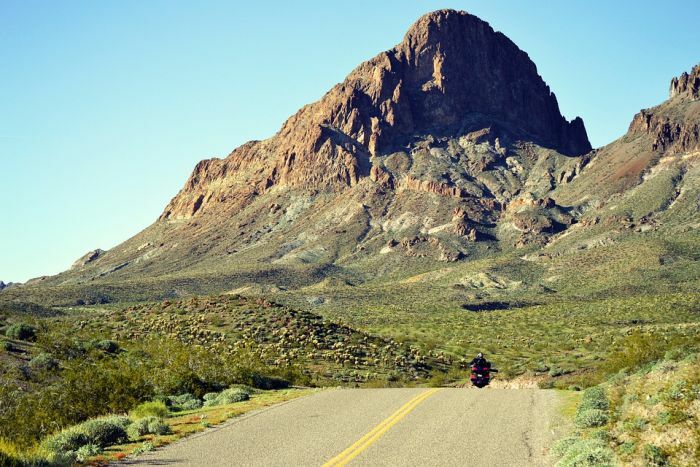 Finding Route 66 can be difficult as it is no longer an official road. In some states the Route is well signposted, but not so well in others, so a guide book is a good idea. 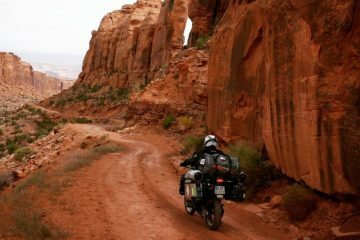 The best is by Jerry McClanahan and is called Route 66: EZ Guide For Travellers. It’s spiral bound with directions and sightseeing information on each page and it fits well into the map pocket of a tank bag. The instructions on the top of the page are for west bound travellers and the instructions on the bottom of the page are for eastbound travellers. 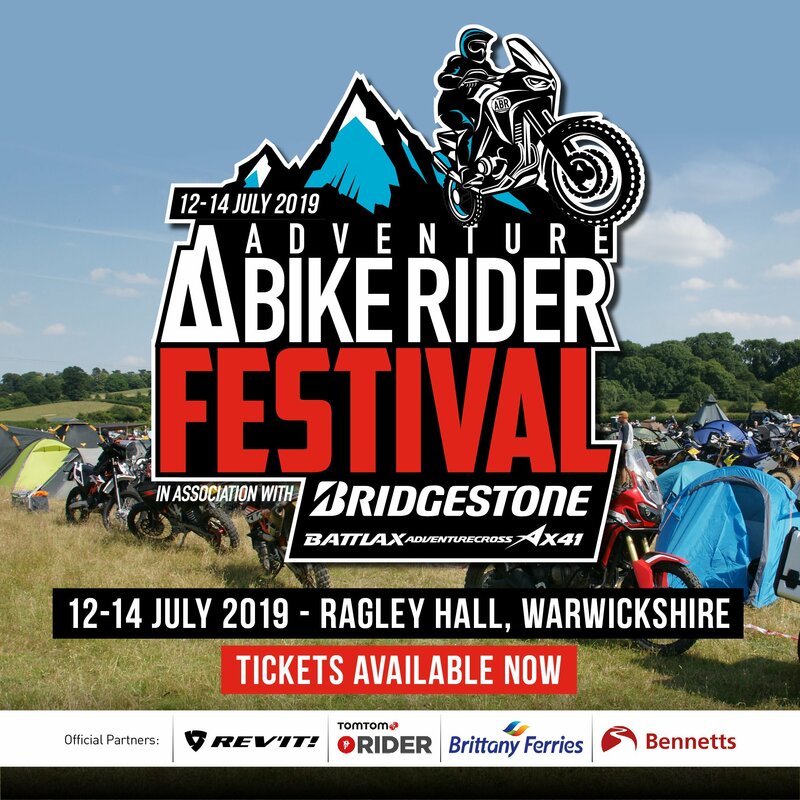 Jerry also has a website that he keeps up to date with changes along the route. The guide is not available from Amazon UK, but can be ordered from the US Amazon website. The paperwork involved in entering many countries can be a real pain, fortunately American formalities are relatively simple for travellers from the UK (and 36 other countries) who have machine readable passports. For stays of less than 90 days eligible applicants can go to the US Visa Waiver Program Electronic System for Travel Authorisation (ESTA) website, answer a few questions and pay the fee. One of the questions asks where the applicant will stay in the US, so it’s worth pre-booking a hotel for the first night and then using the address of that hotel. After a few days a quick check back on the website shows whether the application was successful. If so, that’s it, no further paperwork is necessary as the information is recorded on a computer which is accessed by the US Immigration people on arrival. Other than ESTA approval all that is needed is a valid passport.